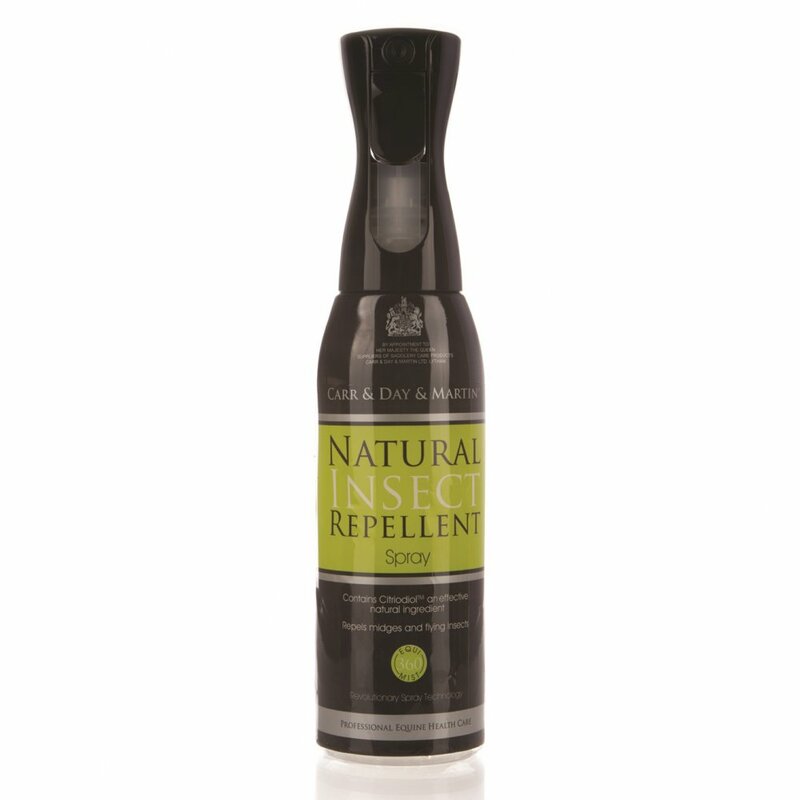 Carr & Day & Martin Natural Insect Repellent Equimist Spray is a natural, effective water-based formula containing citriodiol for safe, long lasting protection from midges and other biting insects. Citriodiol is the most effective natural insect repellent and is produced from Eucalyptus citriodora oil. This natural fly repellent is packaged in an Equimist 360' bottle to ensure an even coverage over the widest possible area. Equimist is a revolutionary spray technology that sprays a fine mist with a continuous action whether held upright, side ways or upside down. Equimist lends itself perfectly to fly repellents as they can be applied quickly, quietly and evenly over the whole of the horses coat, including hard to reach areas under the stomach. Shake well and spray Carr & Day & Martin Natural Insect Repellet liberally onto the horse, or apply with a cloth. If using for the first time, test on a small area of skin 24 hours before general use to establish suitability. Provides instant protection; apply twice daily.